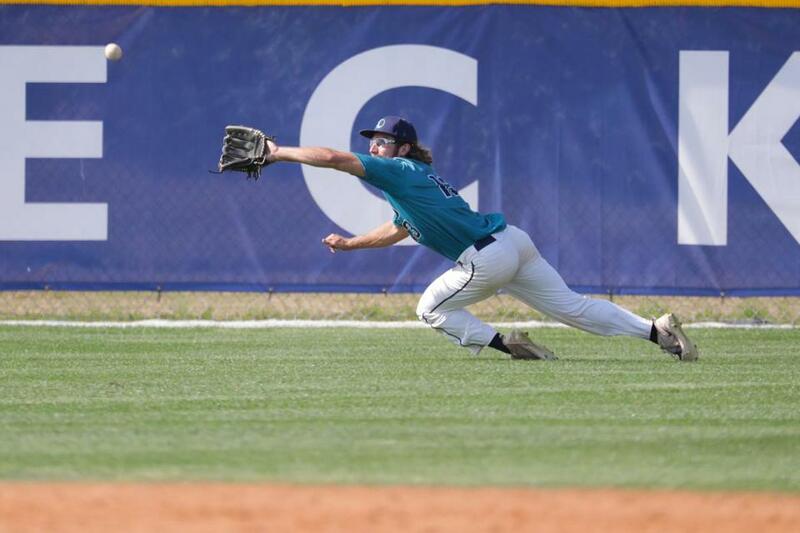 Keith Leavitt, Jr. in action in the outfield for Eckerd College in a game against Kaiser. Keith Leavitt, Jr. grew up in the Manchester-by-the-Sea, and after high school baseball at St. John’s Prep played two seasons at Penn State. He transferred to Division 2 Eckerd College in St. Petersburg, Fla., where he wrapped up his junior season May 6. 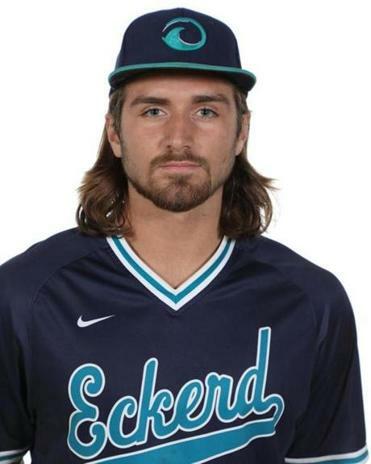 A political science major, he started all 49 of the team’s games, leading the team in total bases (83) and stolen bases (16) and tying for the lead with 33 RBIs. Q. When did you first play baseball? A. I think I’ve had a bat in my hands my entire life, to be honest. I couldn’t even tell you when I started. It might have been the first real sport I practiced diligently as far as being in the backyard with my dad. It’s the sport where I had the most natural ability and my ability to swing the bat came from the amount of work my dad and I put in while I was growing up. Q. What has baseball meant to you? A. Baseball’s been a huge part of my life, and ultimately shaped everything I’ve been involved in, the people I’ve met and the schools I’ve gone to. It’s been a long journey with lots of ups and downs, but ultimately led me to be here and be happy. The game itself has paved quite a few paths and led to a lot of friendships. It’s just amazing what a sport can do far as paving a way and shaping you into the person you end up becoming. A. The best part of my game has always been my ability to hit for power and speed has been a big part of my game as well. I’ve played leftfield going back to my high school days and I’ve grown to be real comfortable out there getting reads off the bat, I’ve played so many innings out there over the years. I also think I have good footwork that allows me to use my speed to get to balls and cover the gaps and line pretty well. I have real good arm strength right now. I’m as strong as I’ve ever been. Q. How has the move to Eckerd worked out for you? A. Just because things might not work out for you in one place, that doesn’t mean you can’t change. Life’s too short to be unhappy. Sometimes if you take a leap of faith it can lead to more enjoyable times. Coach [Josh] Beauregard helped me take that leap of faith, and ultimately I have a second chance to play college baseball, wand that’s all I ever wanted. Q. Do you have a favorite place to visit in New England? A. I love [the village of] Magnolia in Gloucester. You can ride along by the ocean and watch the waves crash on the rocks. My mom and dad have taken me on rides there as long as I can remember. Taking rides there now reminds me of my childhood growing up. I’ve returned to that place countless times and it reminds me of home. A. Honestly, I don’t really think about that stuff. At the end of the day, I just hope I end up being happy with whatever I end up doing. Baseball is such a short period of my life, wherever the game leads me, it leads me. Playing professionally would be everything I’ve dreamed of. At the same time, life can take lots of different turns and different opportunities can arise. Right now I’m trying to take care of what I can and make the dream a reality. It’s still something I consider very possible. For complete interview go to bostonglobe.com/north. Allen Lessels can be reached at lessfam321@gmail.com.